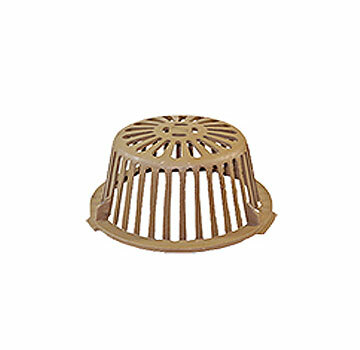 Marathon BS-1067 10 inch OD Cast Iron Drain Dome and Metal Clamping Ring Set. Includes a #BC1-3080 (Watts D2 3-bolt Style, 9-5/8 OD x 4-1/2 High, Epoxy Coated Cast Iron Dome) and #BC1-3107 Matching Metal Clamping Ring. Price/Set.